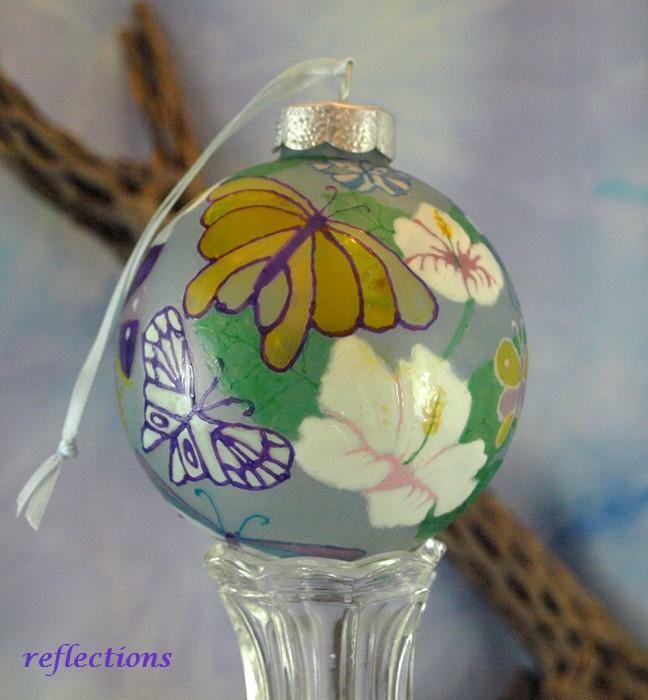 Welcome Spring as colorful butterflies flit around yellow and white hibiscus flowers against a very pale frotsy blue background on this delightful hand painted glass ornament. 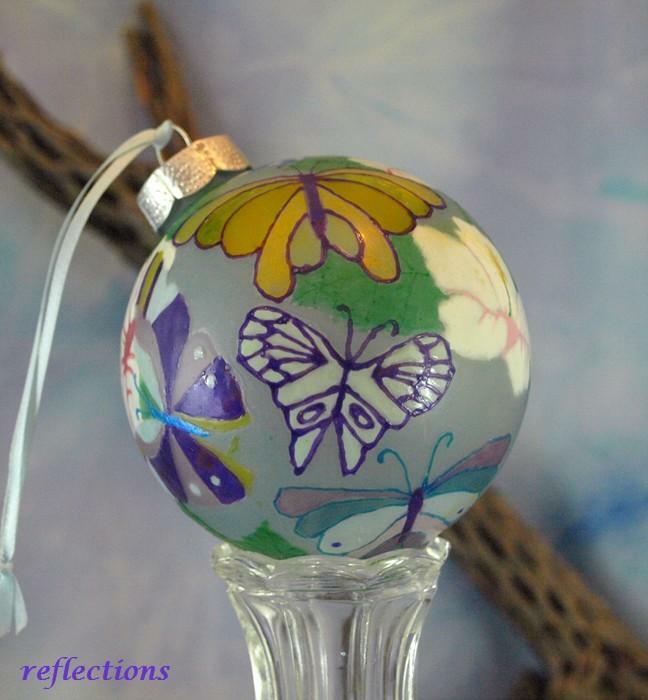 Carefully hand painted with quality glass paints, makes this one of a kind artistic ornament a true keepsake. Butterflies are painted in shades of: blues, purples, yellows, pink, with yellow, white & pink hibiscus flowers. 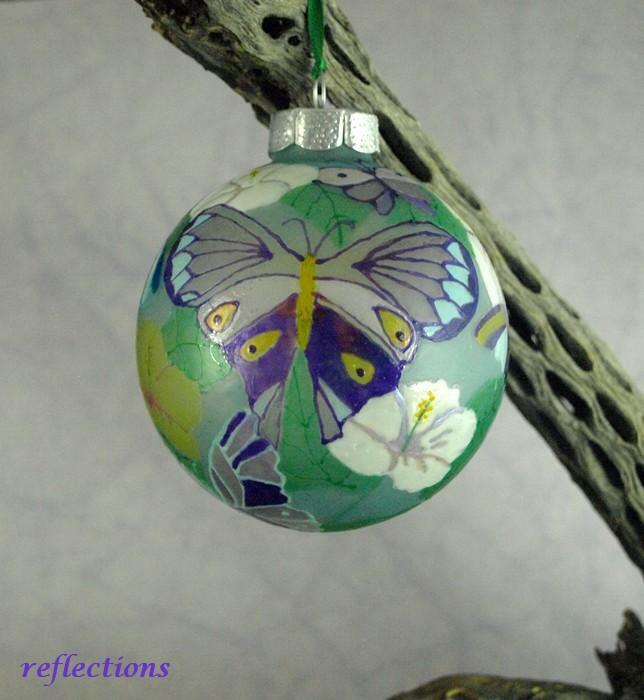 Original art in the round, Butterfly Celebration will make an excellent gift for butterfly and nature lovers. They add a special touch to a window, hung among indoor foliage, and reflect the other side when hung from a mirror. 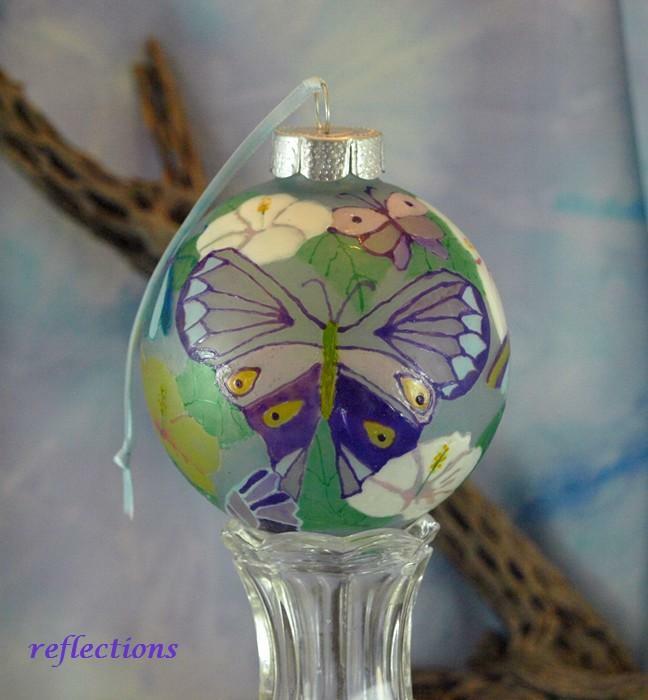 Each artistic collectible ornament is signed and dated and comes in it's own special box that is hand made after the ornament is ordered. I take great care when packaging my ornaments so they arrive safely at their new home, all ornaments I've mailed have arrived intact. Easy care, just wipe clean with a soft damp cloth. 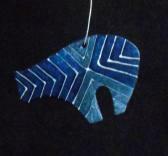 If you have an idea for a special ornament, please contact me and I will be happy to make a custom ornament just for you. A deposit is required before I start painting. 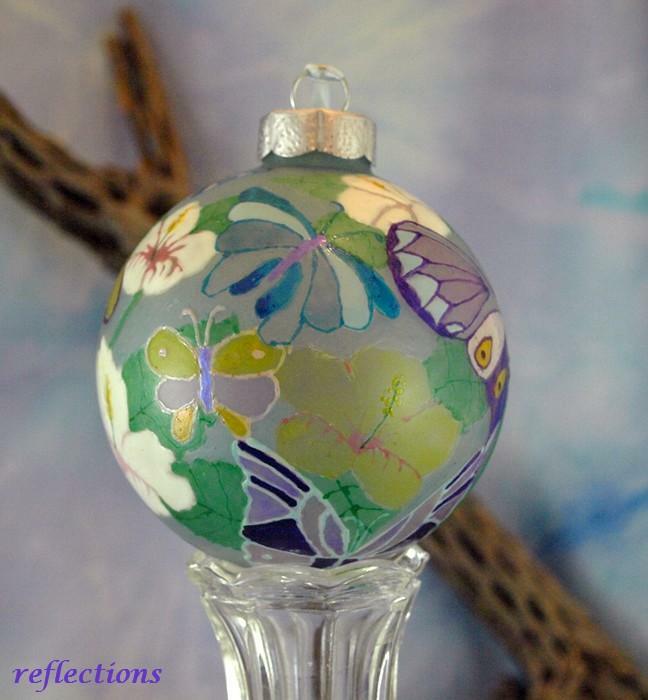 Thank you for visiting my studio, Reflections, here on HandMadeArtists and have a bright and beautiful day.